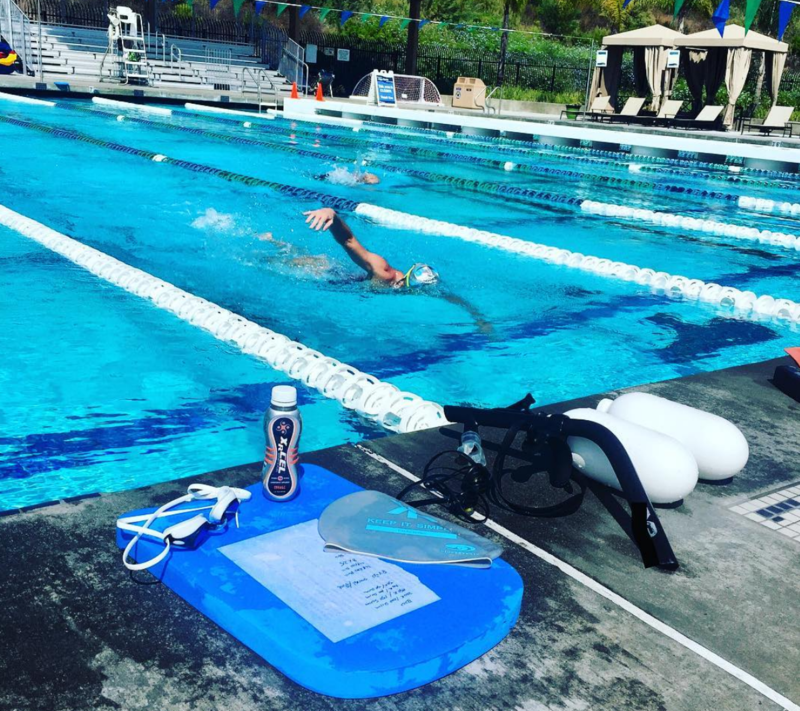 While XRCEL Athlete Fuel is a fantastic fueling source for your races it can be just as valuable of a tool in training. Carrie Lester and I have been using XRCEL regularly for 2 going on 3 years now. At first we came on as ambassadors to help us in our races but we quickly found that XRCEL was helping us get through some really tough workouts in which we were going in under fueled for a variety of reasons…. Prior to using XRCEL I very rarely would use a GEL in training. Between the consistency of traditional gels, and the goopy mess they can leave on your hands and face, I saved them for races only…But with XRCEL, it’s easy ready to drink bottle packaging, and liquid consistency, I found it much easier and cleaner to consume. So, when do we use it in training? Most don’t realize this but many triathletes are walking Zombies because we are running low on calories. This is especially the case when an athlete is in the middle of a high volume training block. In our case we typically swim 4-5 days a week first thing. Most days it’s a coffee and off to the pool. I typically save breakfast for post swim workouts mostly because of the lack of appetite in the morning. For any swim session longer than 1 hour I take an XRCEL mid swim. I can’t tell you how many early morning swims have been turned around after taking an XRCEL just before starting the main set…. Days when we run first thing I use the same principle of anything over an hour I either take an XRCEL before starting a run or I carry one with me that I’ll take after 30 mins of running. Somedays if I’m dragging a bit or feel I didn’t eat enough the day before I’ll take an XRCEL before a run and then also carry one with me. Longer bike days which are typically midweek and on the weekends, I’ll have breakfast but as mentioned if I don’t have much of an appetite I’ll take an XRCEL before rolling out for my ride. Then typically take 1 or 2 more with me that I’ll carry in my jersey pockets to take as I need. On brick session days I’ll normally have 1 XRCEL before heading out for my run, simulating what I do in races, consuming 1 bottle in T2 from Bike to Run. Some of the other ways we like to train on XRCEL are for late afternoon or early evening sessions. Let’s say for example we have a double run day or a day in which we ride in the morning and come back in the evening with a run. These days will be a bit lighter on the lunch so that we aren’t feeling bloated or running on a stomach full of food. On these days I can feel that I am a bit hungry and if I didn’t have a PM Session I’d have a much bigger lunch, so to insure I don’t crash and burn mid workout I’ll take and XRCEL before starting the workout. So, as you can see, we are typically consuming at least 1 XRCEL per day to keep us topped in order to maximize our training days. You might be asking yourself how we keep up on our supply of XRCEL? Well, every month we get a delivery of 2 big boxes each filled with 36 bottles of XRCEL, 1 for Carrie and 1 for me. If you are interested in signing up for automatic shipments of XRCEL please send an e-mail to Customerservice@XRCEL.com and the XRCEL team will work with you to get set up. Feel free to use our code SDXRCEL to get a 15% discount.